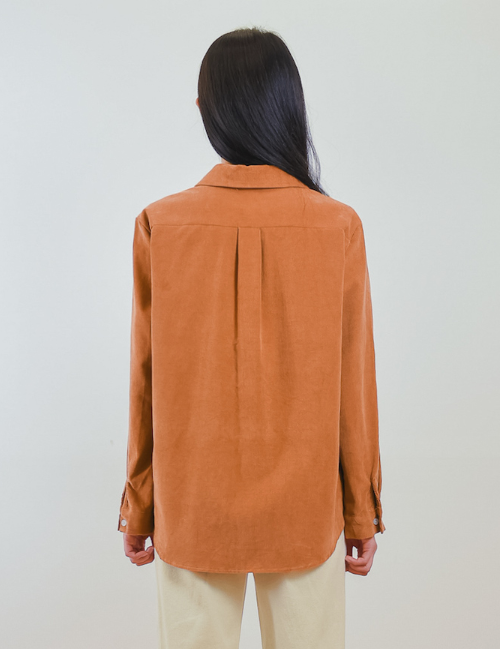 Fill up your casual closet with versatile and smart tops like this Corduroy Button-Up Shirt for easy styling. It comes with pointed collars, long sleeves with buttoned cuffs, a button-down closure, a patch pocket on the left bust, a curved hemline, and a loose fit bodice. Made from 100% cotton. This top is one of the perfect choices for your winter looks.